ACCL » Tarullo, Michael D.
“Award Winners Command Attention,” Builders Exchange Craftsmanship Awards magazine, 2009. “Common Terms Encountered by Lawyers,” Editor, American Bar Association Forum Committee on the Construction Industry. “Forms and Substance: Specialized Agreements for the Construction Project,” Chief Editor, American Bar Association Forum Committee on the Construction Industry, December 2006. “Project Site Agreements,” American Bar Association Forum Committee on the Construction Industry, August 2006. “Design Build Procurement at the Federal Level,” American Bar Association, 2000, Fourth Edition, 2009. “The Mediator’s Role in Construction Disputes,” American Bar Association, 1998. “Design Build Procurement for Charter Communities in Ohio,” Design Build Institute of America, March 19, 2009. “Successful Management of the Construction Process,” Ohio State Architect’s Office College, March 13, 2008. “Documents Comparison…A Critical Comparison on the New ConsensusDOCS and the Updated AIA Documents,” Ohio Construction Conference, February 28, 2008. “Successful Project Documentation,” Builders Exchange of Central Ohio, Columbus, Ohio, presented 1995 through 2009. “The Secret to a Successful State Project,” Ohio Construction Conference, Columbus, Ohio, 2007 and 2008. “Risks and Rewards of the Design/Build Delivery System for Construction Projects,” County Sanitary Engineers’ Association Annual Meeting, December 12, 2006. “Managing Business Risk – Part One: No Markup, No Risk?” The Response Times, Spring 2006. “Resolving Construction Disputes,” SAO College, February 1, 2006. “Managing the Real Risks of the Construction Process,” Ohio Construction Expo, February 11, 2004. “New Front End Documents for Lead Contractor Projects – Overview and Issues,” Builder’s Exchange of Central Ohio Seminar, September 12, 2003. “Construction Delay Claim Theories,” Columbus Bar Association, February 4, 2002. MICHAEL D. TARULLO: Mr. Tarullo is both a lawyer and an engineer. 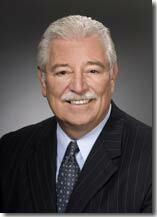 Mr. Tarullo is a Fellow of the American College of Construction Lawyers, one of only two such members in Ohio. Prior to practicing law, he had almost twenty years of field experience in actual construction, construction related businesses, and field construction claims evaluation and preparation. Mr. Tarullo is a principal in the law firm of Schottenstein, Zox & Dunn L.P.A. of Columbus, Ohio and Coordinator of its Construction Industry Service Group. Mr. Tarullo’s law practice is concentrated in construction and construction related local, state and federal matters. He is active in developing practice risk prevention programs for all members of the construction industry. Mr. Tarullo’s clients include contractors, subcontractors, suppliers, public and private owners. Mr. Tarullo has successfully represented clients in complex construction disputes ranging from the construction of high-rise office buildings and large sporting facilities to power plants, water and wastewater treatment facilities and to construction of golf courses and healthcare facilities. Mr. Tarullo is a trained arbitrator and mediator, serving on the American Arbitration Association’s select panel of construction arbitrators for complex disputes. Mr. Tarullo has lectured on the use of mediation and arbitration in resolving construction disputes. He is the author of “The Mediator’s Role in Construction disputes Communicate, Challenge, and be Creative” published for the ABA Annual Meeting 1998 held in Toronto, Canada; Design/Build Procurement at the Federal Level, published by the Forum on the Construction Industry of the American Bar Association in the Design/Build Deskbook (Second Edition, 2000 and Fourth Edition, 2009), and the chapter in the Forums book entitled Forms & Substance, Specialized Agreements for the Construction Project, entitled Project Site Agreements. A frequent lecturer and author on various topics relating to construction law, Mr. Tarullo is an active member of the Columbus, Ohio, and American Bar Associations. Mr. Tarullo served as Chairman of the Construction Committee of the Columbus Bar Association from 1996 to 1998, and was Chairman of Division 4 of the Forum on the Construction Industry of the American Bar Association 1999 and 2000 which focuses on project delivery systems such as Construction Management and Design-Build. In 2002, Mr. Tarullo was elected to the national Governing Committee of the Forum on the Construction Industry of the American Bar Association, served as the Chair of that organization in 2007-2008. He is a Member of the American Bar Association ADR and Litigation Sections. Mr. Tarullo has actively participated in the activities of various construction trade associations throughout Ohio, in particular the Builders Exchange of Central Ohio. Mr. Tarullo was presented the Builders Exchange’s Presidents Award in 1995 for voluntary service to the construction industry in Central Ohio. Mr. Tarullo was a member of the Board of Directors of the Builders Exchange of Central Ohio from 1997 to 2008 serving as President of that Board in 2007-2008. Mr. Tarullo is a former member of the Board of Directors for the Ohio Valley Chapter of the Design Build Institute of America. Mr. Tarullo received his undergraduate degree in engineering from the University of Louisville, and his Juris Doctor from Capital University Law School in Columbus, Ohio. Just prior to joining the law firm of Schottenstein, Zox & Dunn, Mr. Tarullo worked with an international engineering and construction management firm as a Construction Manager and Project Engineer. Mr. Tarullo’s engineering career included independent investigation and evaluation of construction claims, deficiencies in process design and equipment failures. Mr. Tarullo is admitted to practice in the State of Ohio, the U.S. District Circuit, Southern District of Ohio and the U.S. Court of Claims. Mr. Tarullo serves clients nationally with particular attention to matters in Ohio, Indiana, Kentucky, and West Virginia.